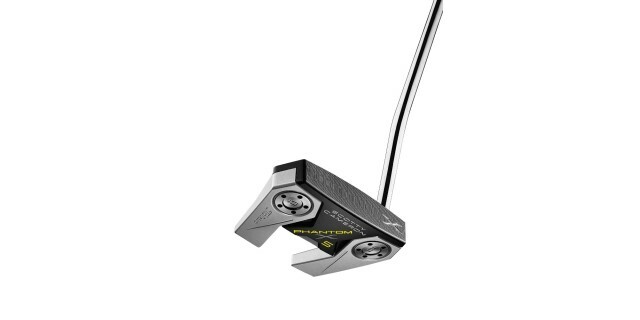 Scotty Cameron has launched the 2019 Phantom X family, a range of putters that have been packed with technology to deliver nine high performing mallet models. • FIVE NEW HIGH-TECH, MULTI-MATERIAL HEADS: Each Phantom X putter is a precision milled, multi-component mallet based on one of five new head designs. These models are slightly more compact than their Futura predecessors with sleek, ground-hugging contours that pleasingly angle away from the player to inspire confidence at address, yet still employ aluminium and steel components perfectly matched for optimal shape and weight distribution. • SOLID FACE TECHNOLOGY: Each Phantom X mallet is constructed with a standard-milled, 6061 aircraft aluminium face anodized black that extends back and through the flange areas of each model. This results in solid feedback, while preserving the soft feel players prefer. Each new Phantom X putter features advanced stability weighting with two, customisable stainless-steel heel-toe weights and stepless steel shafts. The Phantom X line’s 6061 aircraft grade aluminium components have been anodised black in a misted finish that helps to reduce sun glare. The 303 stainless steel putter head components have also been misted for a radiant yet glare resistant appearance. Scotty’s familiar three-dot theme carries through to the back cavities of the Phantom X 5, 5.5, 6 and 6STR as unpainted, raw circles revealed by milling away the black anodisation. Neon yellow paint fill provides bold visual guidance in sight lines, while sight dots have been doublemilled to highlight the neon yellow paint fill with a ring of silver-coloured aluminium. • Phantom X 5: The evolution of this Tour-proven wingback mallet with a single mid-bend shaft continues with a solid aluminium face anodized in black that extends back into the stepped down flange, framed by misted stainless steel. Three milled topline sight dots painted neon yellow and framed with polished aluminium provide simple but effective alignment to the sweet spot. • Phantom X 7: A single mid-bend-shafted, near-face balanced setup, Phantom X 7 features a heel-to-toe tapered aluminium face that is sculpted into a raised enter flange for a continuous, connected surface from the leading edge all the way back. Framed by stepped down, angular stainless steel components, the Phantom X7 combines the benefits of long flange sight lines with a semi-traditional topline for easy horizontal and vertical alignment at setup. Also available in a left-handed model. • Phantom X 7.5: With a single low-bend shaft crafted to promote enhanced toe flow with forgiveness, the Phantom X 7.5 employs a raised centre flange offering a continuous, connected surface accented with neon yellow alignment cues from the leading edge through the back flange. Also available in a left-handed model. • Phantom X 12: With swept-back wings precision milled from 303 stainless steel, this near-face balanced, high-MOI mallet with a single mid-bend shaft employs the continuous alignment features of the Phantom X line’s full leading-edge-to-flange construction – crafted from aircraft grade aluminium, anodized black and accented with neon yellow sight cues. The ultimate in technology, stability and forgiveness. 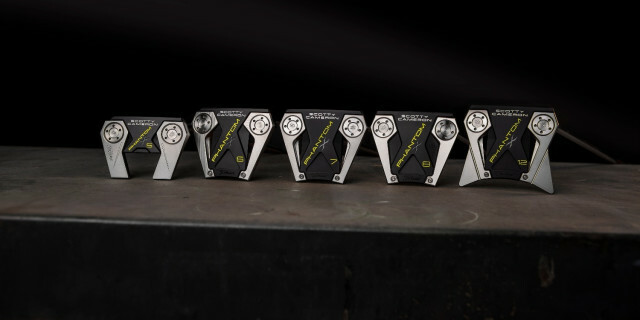 For more information, visit https://www.scottycameron.com/.